9-21-2017 We updated the Program of Events for 2017. Please refer to the update here. 9-15-2017 The Program of Events for 2017 have been set and can be viewed in the side bar of the website or downloaded here (updated) . 9-11-2016 Art Fair Program – The program for the arts fair has been announced. Along with our 35 artist show comes many musical performances and kids activities for everyone. Choose from marching bands, choirs, printmaking, and harp music to name a few. 10-8-2015 Sammamish Review: The Sammamish Arts Fair was featured in the Sammamish Review October 8. Read it here. 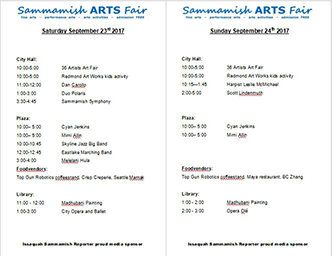 9-26-2015 Fair Update: The Sammamish Arts Fair will include hands-on art experiences indoors and outside. There will be live music, a dance performance on Saturday and food for purchase as well as the wonderful art to experience. At the same time the library also has an event for kids. Sammamish Nights: Sammamish Arts Fair artists offered previews of their work at Art Walk as part of the Sammamish Nights, in one of the most beautiful outdoor settings in the City! Family Art Area: As part of our mission we provide an art experience for all ages. We are looking for art teachers or organizations that may have an interest in providing hands on family art projects. We are open to suggestions as to what form this might take; please feel free to contact us for further details at sammamishartfair@gmail.com. Partnerships and Sponsors: We are looking to connect with local organizations who would be interested in helping us fulfill our goal to provide a community wide cultural event, and we would like to receive proposals for either running an activity in the outside Commons area or sponsoring some portion of the fair. Please contact us with your ideas at sammamishartfair@gmail.com. 7th Sammamish Arts Fair 2013: Many people showed up on a somewhat rainy weekend for our 7th fair. 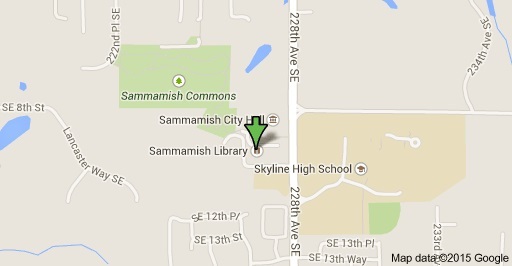 Sammamish Nights 2013: The event is over but the memory lingers on. Good food, music, art and a beautiful sunset. 6th Sammamish Arts Fair 2012: Highlights from 2012 included the Mayor of the City of Sammamish, Tom Odell, who officially opened up the Fair for us. Two of our Artists were nominated for the Sammi Awards: Suzanne Tidwell Fiber Artist and creator of the Tree socks, Anna Macrae for her work as Arts Fair Chair; she also received a President’s Award for volunteering. This was our first year to take part in the Sammamish Nights. Great article about our Fair! Be sure to catch our Makers Among Us on the Sammamish-Issaquah Patch. 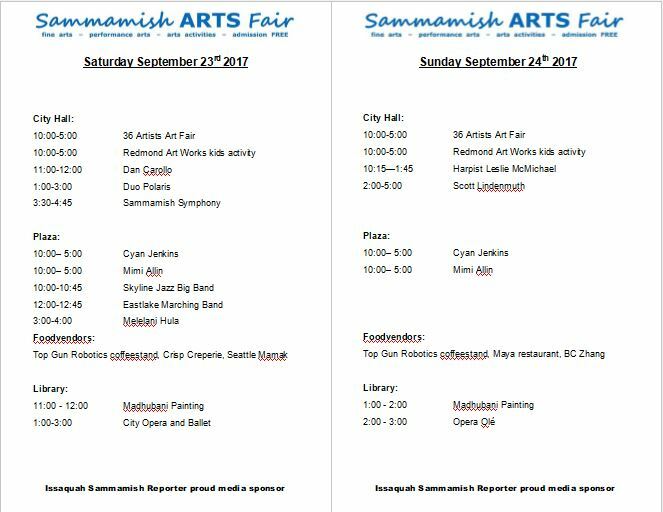 Forbes; its official, the Sammamish Arts Fair helps to make Sammamish one of the friendliest towns in America. 5th Sammamish Arts Fair 2011 : Another successful year – thank you to all involved. Sammamish Issaquah article. Images from 2011. Click to see more.